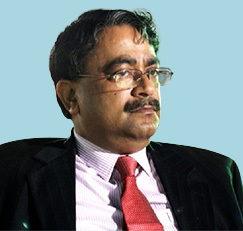 Saugata Mitra is presently, Chief People Officer and member of the apex management team at Mother Dairy, the largest dairy and food giant in Asia. A noted Human Resource Professional, Author and Analyst with over two decades of experience in Fortune 500 companies having started his career with American transnational, Union Carbide Corporation, followed by long stint in Japanese multinationals Sony and Sharp at CXO level. In Sony, he was the start up member and established the HR Division with modern HR practices in line with Sony HQ (Tokyo). He worked in Sony for ten years as Head of HR & New Business. For the last eight years Saugata is spearheading the transformational initiatives in Mother Dairy, the mandate being to corporatize the organization. He is a strong protagonist of capitalism for social good. A strategist with demonstrated evidence of seamless implementation. 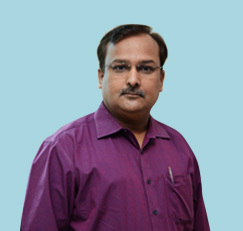 An MBA from Symbiosis Institute of Business Management, he is the recipient of many national and international awards, including the Sony EMCS Chairman’s Award 2004: Strategic Leader of the year 2007 at the World HRD Congress Mumbai; HR Professional of the year 2009 at the Asia-Pacific HR Congress Bangalore; Hall of the Fame Award 2010 at the Employer Branding Congress, Singapore; Talent Management Award at the World Talent Congress 2010, London; “Leadership Award” at the Africa India Partnership Summit, Mauritius in 2011. Mr. Mitra’s first book “18 Management Competencies Business Professionals Cannot Ignore!” has been published by Sterling Publishers, New Delhi in the year 2008. His second book“Leadership India-Leading Change, Changing Lives” published by Tata McGraw Hill Education Pvt. Ltd. was released by Mr. Narayana Murthy on 10th February, 2011 at the World HRD Congress, Mumbai. In November 2012, his third book “Brand Odisha: Investing in the future” was launched at the World Brand Congress by Mr. David Forbes, Chairman of Forbes Group, USA. Mr. Mitra is a member of various HR organizations and Management Institutes including the Governing body of Indian Institute of Rural Management, Anand, Japan India Business Association, All India Management Association, etc. He was conferred with Honorary Doctorate by a reputed University of Punjab in recognition for contribution of highest order in managment science and the prestigious JRD TATA award for exemplary leadership in people practice. The World HRD Congress, 2013, conferred on him “ET Now CHRO award of the year” and All India Managment Association in its 18th Convocation on 19th August, 2013, conferred on him the “National Fellow”. The Indian Institute of Oriental Heritage at its 37th Annual International Conference held on 07th March, 2014, conferred him with D.Litt (Hony.) for his contribution to the world of Indian Heritage. 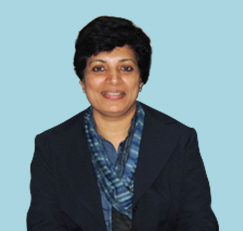 Over a career spanning more than 2 decades, she has experience in diverse domains through having worked in organizations like NOCIL – a Shell-Mafatlal company (India), Bharat Shell (India), Datacom Systems (NZ), Fonterra (NZ) and Xenacom (NZ). She has primarily worked on technology enablement from within the business environment and has also been part of technology companies. Significant achievements include technology enablement of forward and backward linkage processes through mobile based and traditional applications, SAP implementation, creation of central IT organization, consolidation of incident and service management into a single window in Mother Dairy etc. She continues to create business value through technology deployments focused on forward and backward supply chain integration. She is passionate about utilizing technology to create market differentiation and enhance consumer engagement. Ms. Mathew completed her Bachelors in Chemical Engineering from LIT, Nagpur and attended Post Graduate Diploma in Advanced Software Technology from CDAC (erstwhile NCST), Mumbai. She is also accredited with various industry certifications like PMP, CPIM. Mr. Sandeep Ghosh heads the Milk SBU, the flagship SBU, at Mother Dairy Fruit & Vegetable Pvt. Ltd. He has a rich experience of more than two decades in the FMCG sector and this has helped him in making Mother Dairy Milk, not only one of the foremost brand in liquid milk category, but has also been instrumental in making the brands strong presence in many new Metro’s across the country. Under his leadership, the milk category has seen extensive expansion to many new geographies and introduction of innovative channels for distribution, catering to the cross section of the society. He has been instrumental in expanding the exclusive outlets and innovative mobile units of Mother Dairy in Delhi and NCR. Today, with more than 1200 such exclusive outlets selling not only milk but other products viz. Dairy Products, Dhara oil and Safal Products etc., has possibly made the Company the largest organized retailer in the country! Before Joining Mother Dairy, Mr. Ghosh has been associated with renowned organization like Kansai Nerolac Paints, Dabur India etc. Post his joining Mother Dairy, he has been closely associated with various milk institutions involved in developing the milk Industry like Jharkhand Dairy Project. Mr. Ghosh believes in continuous learning and thus has equipped himself with a Management Development Program on General Management & Leadership from the Indian Institute of Management, Kolkata and other various institutes of repute. He holds a Post-Graduate degree in Commerce and Business Studies from the University of Lucknow. In leisure, Mr. Ghosh loves to be in company of books and likes to indulge in cooking. He also loves to travel and explore new places. 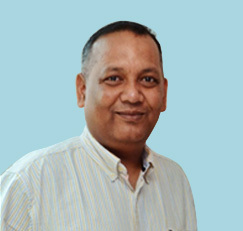 Mr. Sanjeev Giri heads theDhara – Edible Oil Business Unit at Mother Dairy Fruit & Vegetable Pvt. Ltd.Apart from Dhara, the other businesses of the Business Unit include Ghee, Tank farms and Dal Analogue. He comes with a rich experience of over 22 years with core expertise in Sales, General Management and Business Strategy. His understanding of the sector has helped Dhara to become one the leading brands in the sector. Under his leadership, the business has grown at a CAGR of 18% against the industry growth of 6%. 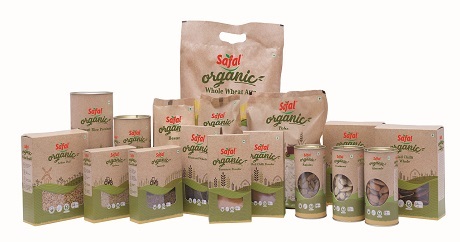 With his strong vision the brand continues to entice consumers with over 8 healthy variants adding to a strong product portfolio of the Company. 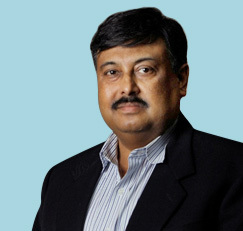 Prior to joining Mother Dairy, Mr. Giri was associated with organizations like Cargill Foods Ltd. and Bunge India. Mr. Giri completed his Post Graduation in Business Administration from Amity Institute. In his free time Mr. Giri loves to travel and explore new places. He also has a passion for driving. Mr. Pradipta Kumar Sahoo has over two decades of rich experience in Agri-Business, Food Processing, FMCG, Food Retail business across value chain. A core strategist and a firm believer in team work; Mr. Sahoo heads the businesses of Value Added Fruits &Vegetables, Frozen food, Fruit Pulp & Concentrates, Branded PulsesandGroup Exports of Mother Dairy. Prior to joining Mother Dairy, Mr. Sahoo was associated with leading business groups like KK Birla, Reliance Retail and Wadhawan Food Retail. His association with such leading brands has given him plethora of practical experience and insight in domestic and export markets. Mr. Sahoo completed his Bachelors in Agriculture Science (B.Sc. Agri)and attended Post Graduate Diploma in Management from the prestigious Indian Institute of Management, Ahmedabad. Mr. Sahoo also attended a professional training in Food Business & Agriculture from Cornell University, Ithaca, New York. In his free time, Mr. Sahoo loves to indulge in cooking or watching economic and political analyses. He is also an avid reader and loves the company of books. Senior General Manager (Milk Manufacturing), Mother Dairy Fruit & Vegetable Pvt. Ltd.
Mr. S. Ram Mohan Rao is the Senior General Manager (Milk Manufacturing) of Mother Dairy Fruit & Vegetable Pvt. Ltd., Delhi. A Dairy Technologist with a rich experience of over 32 years, Mr. Rao started his career with National Dairy Development Board, Anand and has worked with large organizations in the Dairy cooperative sector. 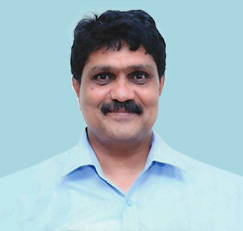 Prior to joining Mother Dairy, Mr. Rao was associated with Pradeshik Cooperative Dairy Federation Limited (PCDF), Uttar Pradesh, Lucknow for 19 years and has handled role and responsibility of operations and management of various Dairy Plant of PCDF in UP manufacturing milk and dairy products and developing manufacturing strategy as per needs of the organizations. Mr. Rao at present is managing a large base of milk and milk products manufacturing operations of Mother Dairy Fruit & Vegetable Pvt. Limited located in Delhi, Uttar Pradesh, Gujarat, Maharashtra and Andhra Pradesh handling large volumes and a diversified range of product categories and is responsible for developing and execution of manufacturing strategy to meet business needs of the company. He is a qualified Dairy Technologist from Osmania University, Hyderabad and also holds Post Graduate Diploma in Rural Management from the Institute of Rural Management, Anand (Gujarat).